I guess they are looking for some children who like to play school. Thanks Russell. 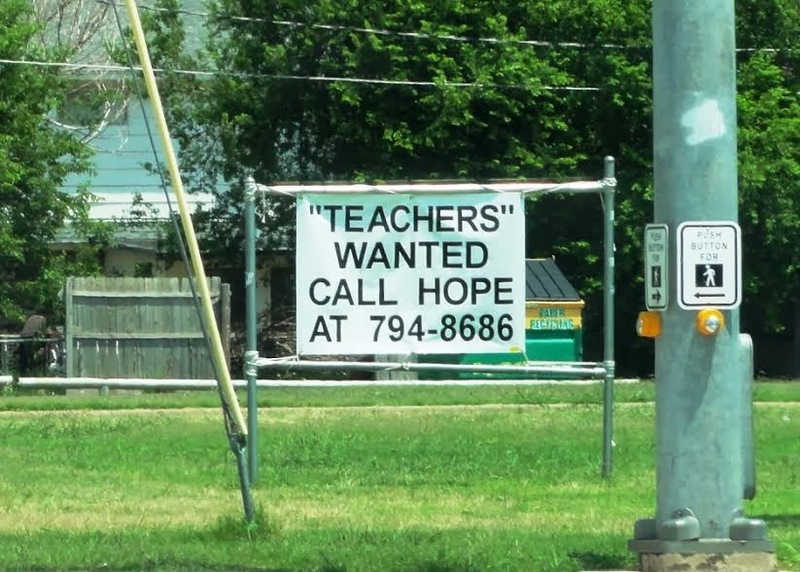 I saw that sign (in Moore, Oklahoma) but didn't have time to snap a pic. I'm glad you got it, Russel. Ha!